A native of Vernon, Alabama, Penn moved to the Florence/Muscle Shoals area while still a teenager and assumed the role of lead vocalist in a local group calling itself the Mark V Combo. When asked what kind of music they played, Penn replies, “R&B, man. There wasn’t no such thing as rock. That was somethin’ you picked up and throwed.” He laughs. “Or threw.” It was around this time that he penned his first chart record, Conway Twitty's “Is a Bluebird Blue,” and became friends with Oldham, whose given name is Dewey Lindon. During the early ’60s, Penn began working with the late Rick Hall at Fame Studios in Muscle Shoals, first as a songwriter, and then as an artist under the names Lonnie Ray, Danny Lee, and finally Dan Penn. Around that time, Oldham, who was then going to college in Florence, started cutting classes in order to hang around the studio, and, Hall, recognizing the kid’s keyboard chops, started hiring him for sessions. Oldham’s reputation grew in this musical hotbed, and he worked at other local studios as well, playing the indelible organ part on Percy Sledge's “When a Man Loves a Woman”—not on a Hammond B3, as is generally thought, but on a Farfisa. “He had it on low growl,” Penn quips. “There’s one of them settin’ right here in my studio, because of that record.” As the keyboard player in the Fame house band, working alongside guitarist Jimmy Johnson, bassist Junior Lowe and drummer Roger Hawkins, Spooner played on ground-breaking albums by Wilson Pickett and Aretha Franklin, among others. While at Fame, Oldham left his imprint on the sound and evolution of southern soul music with his inimitable keyboard playing, but he turned out to be just as skilled and distinctive as a songwriter. In the evenings, after the sessions had ended, Oldham would hole up with Penn, who was engineering at Fame and had the key to the studio, on songwriting sessions, and both immediately became aware of what Penn describes as “some sort of chemical deal together,” and that led to effort and inspiration. “We’d write two or three songs a night,” says Penn. “We were young. We just wrote and wrote and wrote, and we put the demo down, too.” Their early collaborations included “I’m Your Puppet,” which became a hit in 1965 for James & Bobby Purify, and “Out of Left Field,” performed so memorably by Sledge. These boys had a way with metaphor. Together and separately, the pair also wrote hits for Joe Simon, Jimmy Hughes and Wilson Pickett. “I became a staff keyboard player, and then Dan and I became exclusive writers for Fame Publishing Co. for about three years,” Oldham remembers. 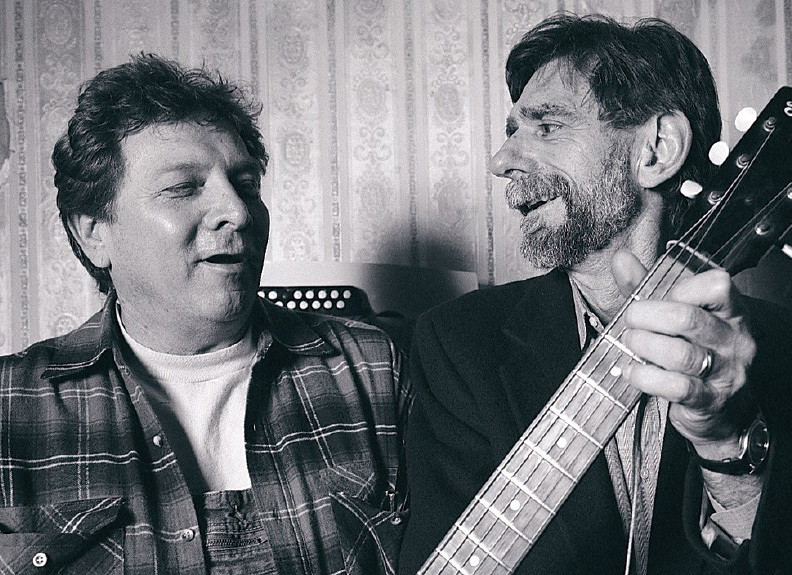 “It was sort of an in-house thing, where artists were comin’ and goin’, askin’ for songs, and there was sort of a built-in opportunity to try to be commercial songwriters, which both of us wanted to be. So, as fate would have it, we were in a good place at a good time. And we enjoyed the process of writing. We’d demo it, just him and I putting it on tape that night — we’d be tired and worn out from our endeavours, and then, the next day, there was a whole band wantin’ to play in the studio, and we’d get them to do the demo. So, we’d live with those songs a couple days runnin’. And then, if we were lucky, maybe two or three weeks later, somebody might want to record it, and we’d get to play it again. 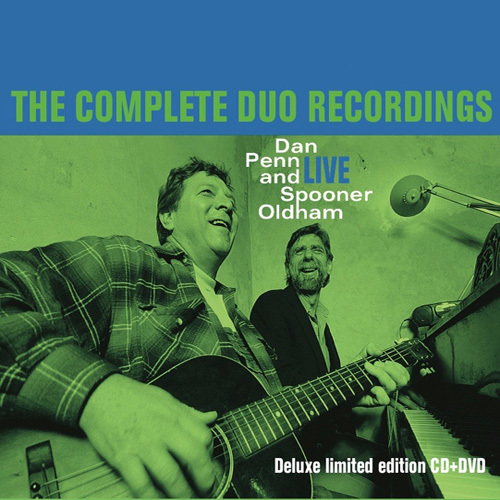 Says Penn of their process: “When me and Spooner are doin’ it, I usually write the lyrics down on paper ’cause he’s got his hands full with the piano, so we just get one set of lyrics. That’s what I use when I sing the demo, and I always sing the demo, which has helped us get a lot of cuts in the past. Not that I sung it properly, but I sung it to where people could understand it, especially black singers. A number of their classics were written for particular singers. “’Sweet Inspiration’ was written for the group the Sweet Inspirations, ‘Cry Like a Baby was written for Alex Chilton, ‘Out of Left Field’ was written for Percy Sledge,” says Penn. “I either was involved in the production or I was real close to the production teams, so when you’re in the middle of a clique, you got the power to either do it right, do it wrong or get out of the way and let somebody else do it.” One gets the impression that Penn and Oldham weren’t the kind to get out of the way. “But you have an opportunity to score, and sometimes we scored. By that I mean comin’ up with a song that was good enough to get on the session. And then, if it came out and was a hit, the score was really complete at that point. So first you had to get on the session, and then the big question was, did it come out? And then the next question was, is it the single? At least back then. In 1967, Penn relocated to Memphis and began producing at Chips Moman’s American Recording Studios, with Oldham joining him a few months later. While at American, Penn and Moman co-wrote “Do Right Woman, Do Right Man,” which Franklin turned into a soul classic, along with “Dark End of the Street,” stunningly recorded by James Carr, while Dan and Spooner came up with “Cry Like a Baby” for the Box Tops and later “A Woman Left Lonely,” written at Dan’s Beautiful Sounds Studio in Memphis, and chosen by Janis Joplin for her classic album Pearl. Penn and wife Linda relocated to Nashville in the ’70s, while Oldham and his wife Karen have been living in Rogersville, Alabama - “close to home,” he says - since 1991.